Do your bathtub walls have a dark tint that seems impossible to get rid of? 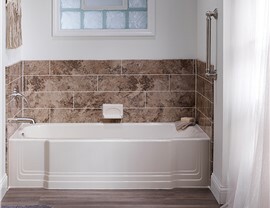 Our bath remodeling process is the perfect solution for you. Our experts will replace your old, outdated bath surround with a fresh new one that will be sure to bring a polished look to any bathroom. 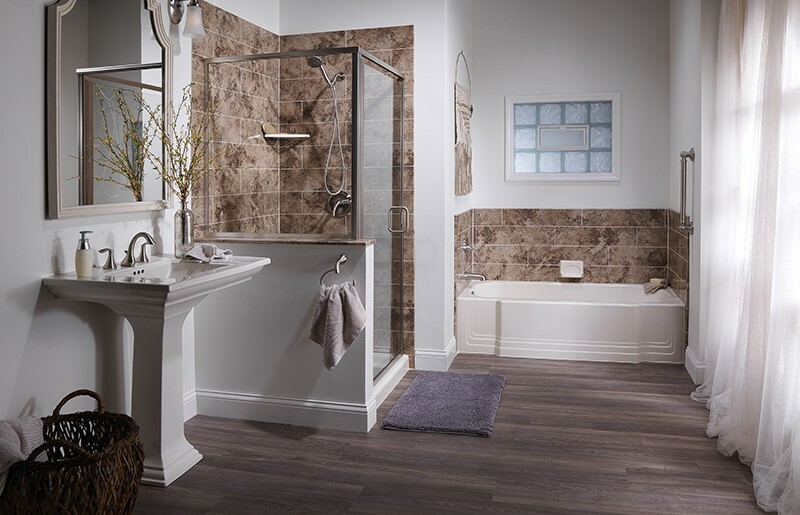 Our completely customized approach to bathroom remodels ensures that your new wall surround fits seamlessly onto your existing wall. Our triple-seal technology further guarantees that no water will get behind your surround – preventing unsightly and potentially hazardous water damage or mold growth. Time-consuming, costly, messy, gutted bathroom remodels are such a hassle and can cause a great deal of stress on your family. With Bath Planet, you can have your bathtub walls replaced in as little as a day! Make your bath a sanctuary rather than an embarrassment. 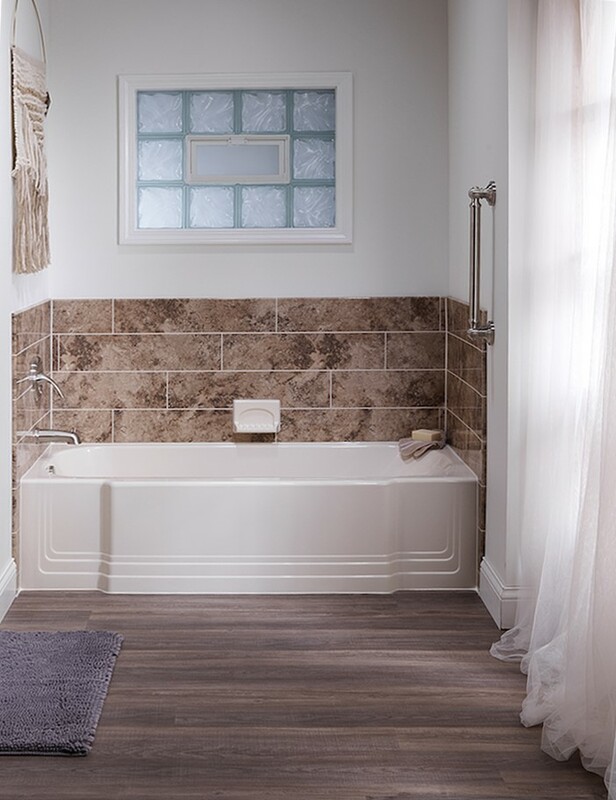 Our process involves taking detailed measurements and pictures of your bathroom to customize your new tub walls to perfectly fit your tub and accommodate nearly any style you desire. Our experts can then install your new tub surround, quickly and efficiently creating a brand new look and feel for your bathroom. All of our top-quality products are created from durable acrylic that stands up to daily wear and tear. It even resists mold and mildew growth! 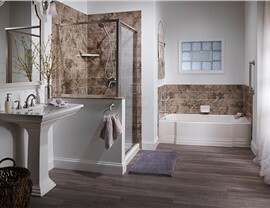 The grout-free design is low-maintenance, making it easier to keep your bathroom clean. We stand by our work and offer you a limited lifetime manufacturer’s warranty to back it up. Call Bath Planet today to speak with a friendly, helpful representative about scheduling your FREE bathroom remodeling consultation.